Are you interested in supporting local comedy and being a talent-spotter? Then maybe The Sketch K.O. Show is the opportunity you’ve been waiting for to make your opinion count! Performed at Newcastle’s Alphabetti Theatre on Wednesday 12th and Thursday 13th December, and directed by the theatre’s award-winning artistic director Ali Pritchard, Sketch K.O. will provide an opportunity for 20 comedy sketch writers to create and perform short moments (less than four minutes) of comedy gold in front of an anticipating audience. 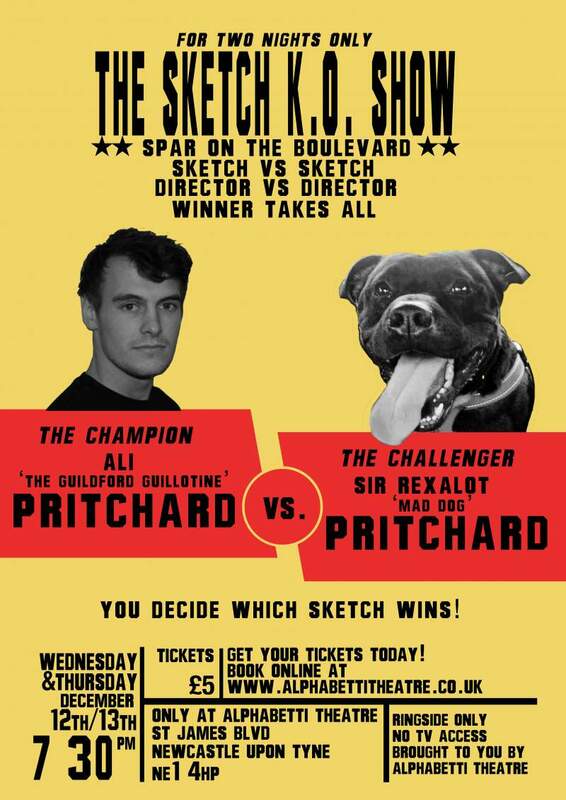 Set inside a friendly-competition environment, the shows are positioned as a ‘battle’ with the audience deciding not only on the running order of the evening, but also on the eventual winner; a prize which will net the lucky writer the title of the undisputed heavy weight sketch of the North East and a professional recording of their sketch. Providing the opportunity to watch interesting and diverse comedy performances from a range of experienced comics, Sketch K.O. is set to be one of the most exhilarating comedy shows around.